Cold brewed and iced coffee have been making some waves lately, reflected in our own articles here on Roast Ratings. With the beginning of fall, it may seem like we should be focusing on pumpkin lattes and graham cracker coffee milkshakes, but we still have a lot to discuss about cold coffee options. You may wonder why cold coffee is such a focus as of late, especially when sold in a bottle as a ready to drink product. Through the process of researching for our articles we have learned a great deal about the options available to all of us, from cafes to grocery store cold cases, with both positive and negative results. If there is one main hinderance in presenting a finished product to the everyday coffee drinker, it is the fact that there are so many ways that things can go awry along the way. Now you may be wondering what is wrong with simply putting your leftover coffee in the fridge from the day before. To perfectly honest, this is a method that has been done for a long time and it surely does create cold coffee. Unfortunately, simply brewing hot and chilling tends to make a less satisfying flavor. The oils in particular seem to taste rancid, and a papery, bitter flavor is quite common. Since our mission at Roast Ratings is to encourage the best tasting coffee possible, we want to go (just a little) down the rabbit hole. Many specialty coffee companies go to great lengths in green coffee sourcing, as well as roasting and packaging, to ensure their product is as high in quality as they are able to make it. Unfortunately coffee is quite volatile by nature, and even if a coffee roaster has done everything as perfectly as possible, the brewing of said coffee can make or break the end user’s experience. For this reason alone the potential of a transportable and ready to drink version of great coffee is quite valuable for coffee companies. The coffee can be brewed to a consistent standard and it can be sold in a wider market rather than being limited to brewing the coffee fresh every time. While this ideal form of coffee is a dream for many roasters, the implementation of bottled specialty coffee is still in its infancy. Some companies, like Cuvee Coffee in Austin, TX, are turning to the beer industry for options in preservation and freshness. In my recent re-evaluation of the Stumptown Cold Brew I mentioned tips on how to get the best cold/iced coffee you can, and here they are! Cold brewed coffee keeps its flavor profile more easily than traditionally (hot brewed) coffee. 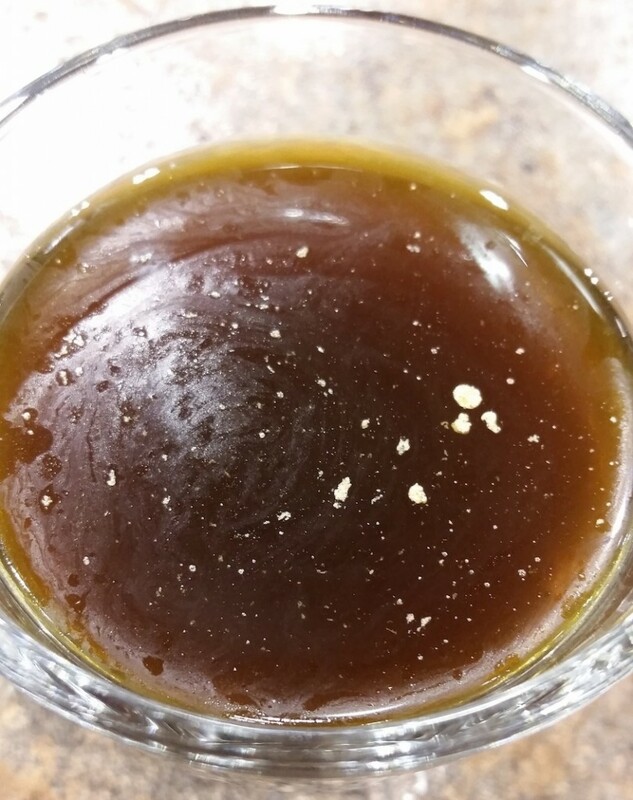 By nature, the cold brew extraction method does not pull out as many volatile acids or bitter elements that come with hot water brewing. This fact leads to a favorable situation for coffee companies, as the desired flavor can be created and preserved for a reasonable amount of time. Despite the shelf stability of cold brew, consistent refrigeration is the key to keeping the product tasting good and not spoiling quickly. While modern grocery distribution has solved the problems of cold transport, coffee is still a beverage that tastes better the fresher it is. So this tip is a bit of a common sense suggestion coming from the mentality that fresh food is good food. We’re not aging whiskey here, it’s coffee. With coffee we consider fresh crop harvests, fresh roasts, and fresh brewing to be ideal for flavor. Cold brewing, while different in how it brews, is still in fact brewing. When purchasing bottled iced coffee keep an eye out for a brew date and, if possible, and try to find the freshest bottle available. With a fresher brew you will find sweeter and more vibrant flavor in your coffee. While cold brew on a store shelf may be limited in freshness, keep in mind that online purchase to order companies like Slingshot Coffee will deliver coffee to your doorstep as fresh as humanly possible. Another thing to consider is the packaging the coffee comes in. Glass bottles are fairly standard, though paper cartons have been getting popular lately. Oddly enough, canning has been making a comeback as well. Canning is one of the best ways to preserve volatile products since there is zero permeability from a cap, zero light degradation possible, as well as cans being more resilient for transportation. Starbucks has been doing this for some time, and newer companies like Cuvee Coffee and Stumptown are finally starting to catch up. Buying local is really more like a “part 2” of buying fresh. 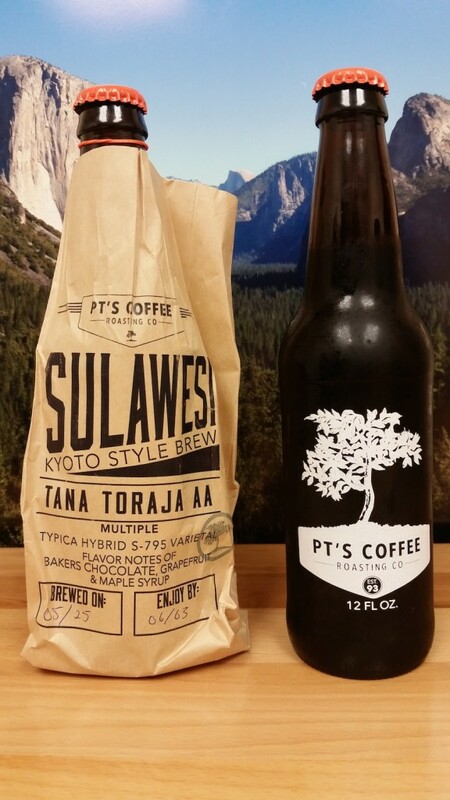 When you buy a bottle of cold brew from a local purveyor it is much more likely to be fresh. In addition to freshness, you will be getting something that represents your area and supporting local businesses. Local coffee companies may offer special limited availability brews that have unique flavor or special coffees. A coffee brand that is from the area you are in means it has (usually) travelled a shorter distance, been attended to in the way that the coffee company desires, and/or placed in select retail outlets. Brands which were not brewed locally have likely been transferred through a grocery or distribution network with the product changing hands multiple times which could lead to temperature fluctuations, as well as being less fresh. There is of course a flip side to buying local. Very small scale producers are likely producing bottles by hand and may not have as many preservation controls in place as a large scale bottler. So needless to say buying local and buying fresh go hand in hand. Supporting local businesses is always a positive mindset, so check out what is locally available from retail stores and cafes and give it a try! If you are more of a do-it-yourself type, or simply want to save money, you are in luck. Cold brew and cold coffee can be incredibly easy to make. The biggest decision you may need to make is how much you want to plan ahead. Cold brew methods like the Toddy or Filtron brewer take 12-18 hours to prepare, but a large batch can be made and used for about a week if desired. So while it takes a lot of time initially to brew, the coffee can be ready to drink whenever you like it. If you are the type who doesn’t want to bother with a big prep time to get tasty coffee the “flash brew” method works great, and takes about the same time to brew as a normal pot of coffee. With flash brewing you use the same amount of coffee grinds, but use less water in the brewing process. The hot coffee brews directly over ice to instantly chill it as well as diluting to the desired strength at the same time. To do either of these methods you may want to have special equipment to ensure you are brewing properly. The cold brew method is best accomplished with a Toddy style brewer (aka a plastic bucket + filter), and the flash brewing method typically needs a gram scale for weighing the ice and water (to ensure the coffee doesn’t get too diluted). If you would like to try these brewing methods at home, check out our awesome video! Forget to make that cold brew last night? Or perhaps you ran out of time this morning and had to rush out the door like most of us do. Cold coffee is as close as your favorite coffee shop and your friendly barista is more than willing to tell you about your options. 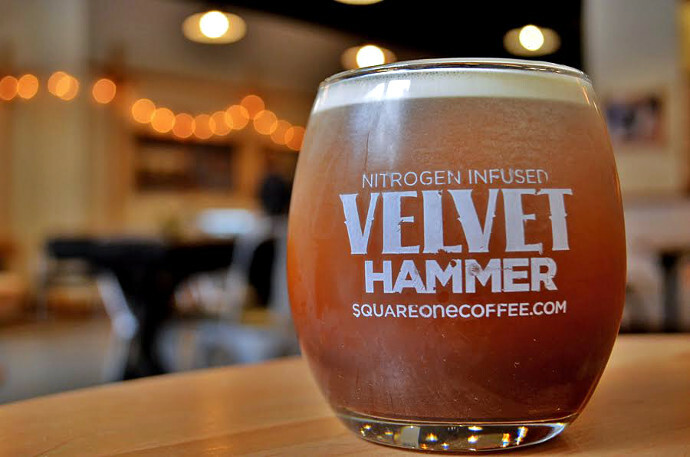 Not only will most cafes offer the standard cold coffee options, but they may well feature special brews, small batch single origins, or even “coffee cocktails” utilizing added ingredients if you want more than simple coffee. Some specialty cafes do a daily “cold drip” style brew, which usually looks more like a science lab than standard coffee brewing. Glass tubes, flasks, and steadily dripping water create a drink similar in style to the Toddy method but often more complex in flavor. Another offering in cafes gaining popularity is cold brewed coffee on nitrogen. It’s like getting a velvety and smooth pint of stout, but without the worry of driving home afterward. Don’t forget that you are getting a glass of coffee still though. Sadly, it won’t actually be the same as drinking a beer. While your local barista can hook you up with a tasty cold cup of coffee, they can also be a great resource for finding the right coffee to use for brewing at home. Not all coffees are the best for cold brew methods, so ask for advice regarding your brewing method of choice. A toddy brew may not do justice to a high dollar coffee for example, since it doesn’t tend to extract acidity and the complexities of the coffee. If you really want to taste a beautiful (and expensive) coffee iced, the flash brew method is typically more appropriate to highlight the nuance of such coffees. Regardless of how you get your iced coffee, we are confident that these tips will help you find a better brew. A final piece of advice is this: If you see cold brew, especially in a bottle, and there are strange things floating in it then it’s a good bet to skip it. Otherwise, happy hunting!